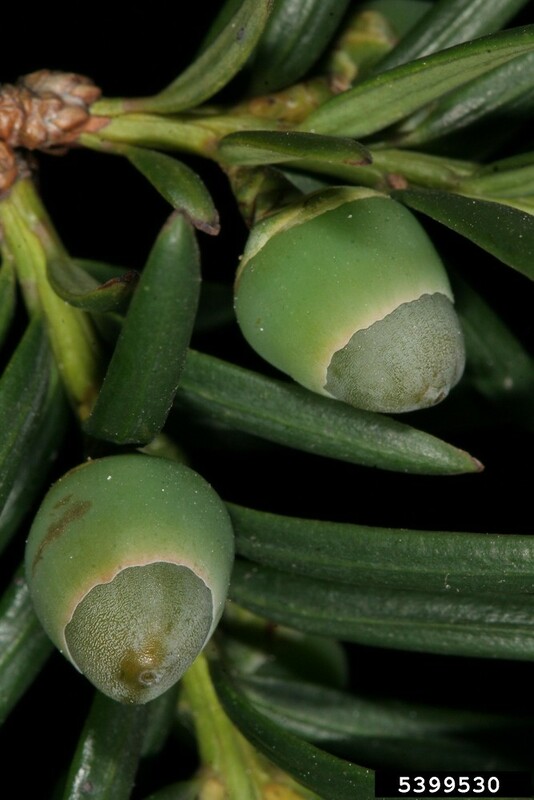 Yews are cone-bearing evergreen shrubs or trees with scaly or deeply grooved bark. The leaves are scale-like. In some species, the leaves may appear to be arranged in two ranks. 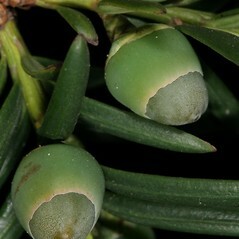 Individual plants may have pollen cones or seed cones, or both. 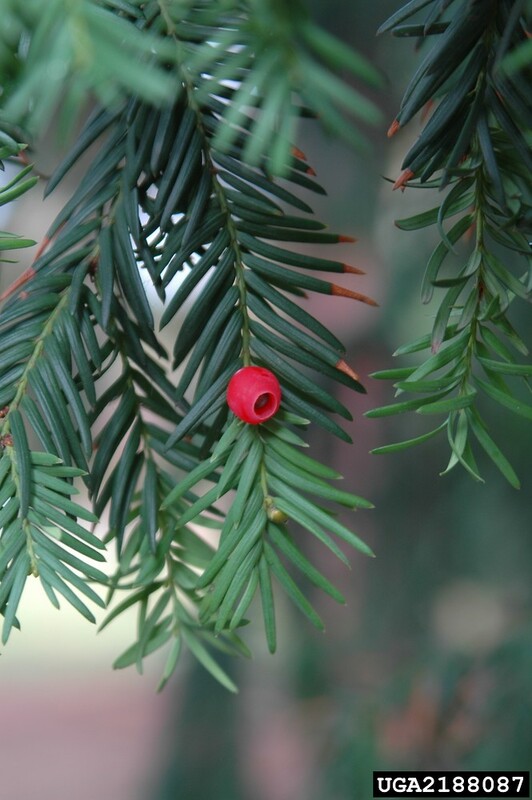 The pollen cones are solitary or arranged in clusters on a branch. They are spherical in our species. 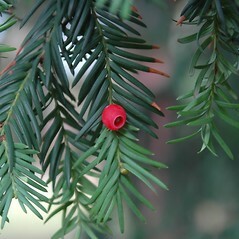 The seed cones are reduced and consist of a solitary seed surrounded by a red, fleshy aril.